During our holiday to Portland in January, we visited the North Portland Cemetery also known as the Old Portland Cemetery. Thanks to a handy brochure I picked up at the Tourist Information Centre it was something we could do as a family. The guide outlines some of the more notable graves in the cemetery. Each of those graves has a number marker. There are also arrows pointing to the next grave of interest. This made visiting the cemetery fun and educational for the small research assistant. Finding each of the numbered graves and reading the corresponding information in the brochure kept his interest on our circumnavigation of the cemetery. The number one grave is the Robb family memorial. William was a local stonemason. 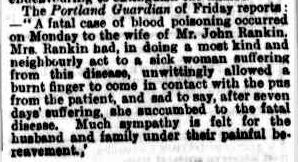 Agnes died from blood poisoning in 1875. 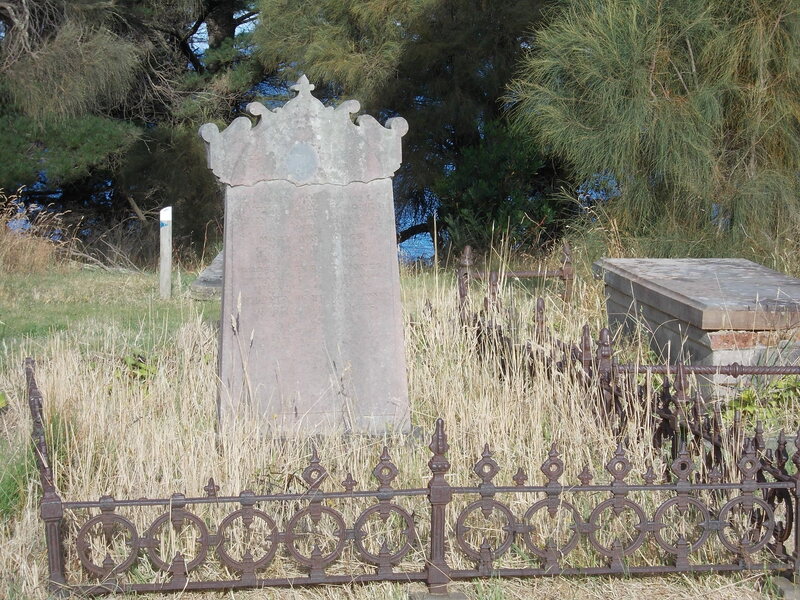 Several members of the Haggestton family lie in the Haggestton plot. 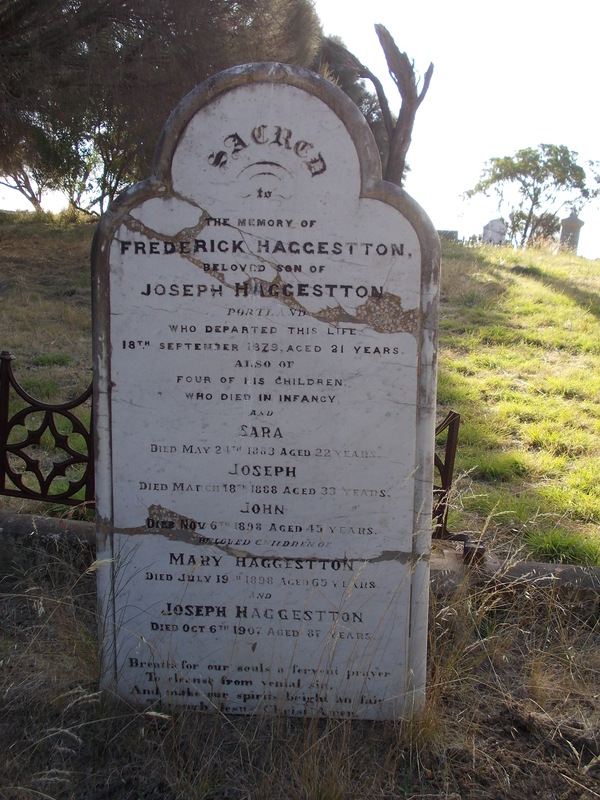 Frederick, Sara, Joseph and John Haggestton, the children of Joseph and Mary Haggestton and Joseph and Mary themselves are all buried here. 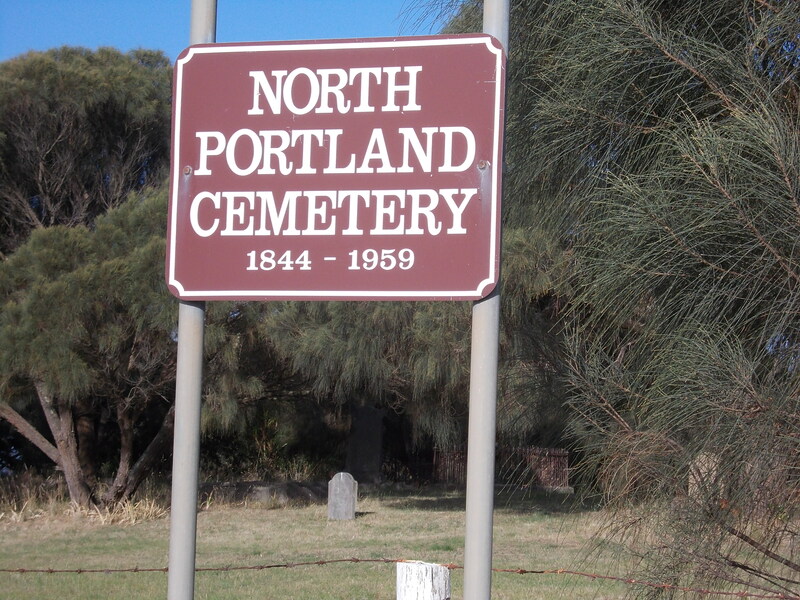 At the time of Joseph senior’s death in 1907, he owned several properties around Portland. Nineteen properties, including The Royal Hotel, were auctioned on 20 February 1908. The Haggestton headstone was vandalised, along with others, in 1986. It was restored by Parker & Sons, a Portland stonemason. 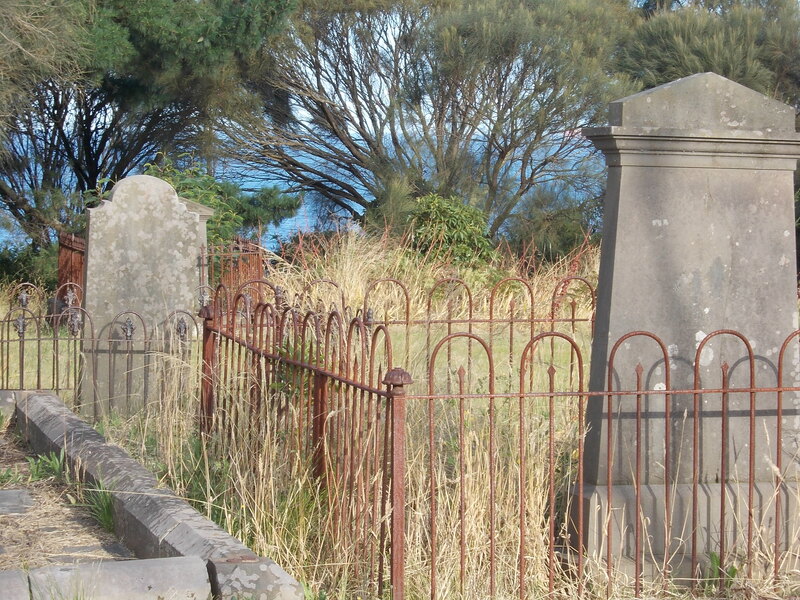 The graves face out over Portland Bay where many of those buried first entered Victoria. 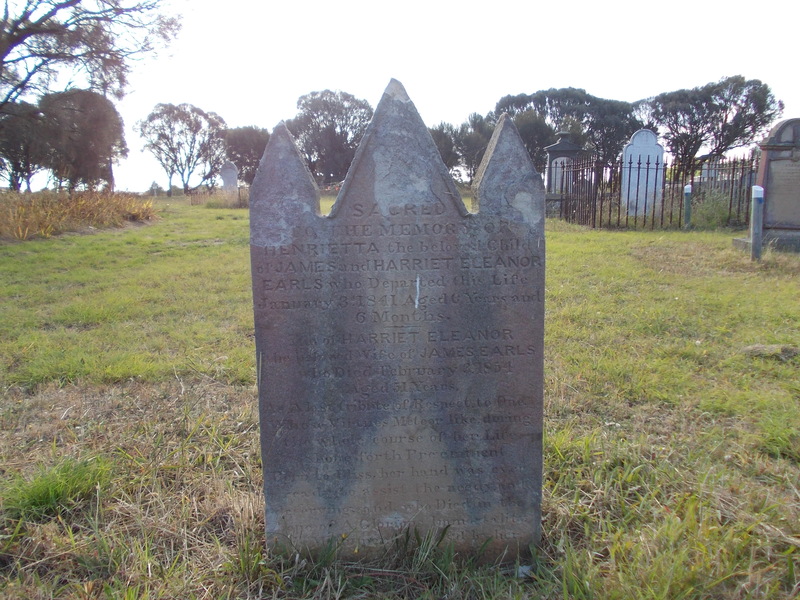 This unusual headstone dates back to 1841 before the cemetery opened. It belongs to six-year-old Henrietta Earls. 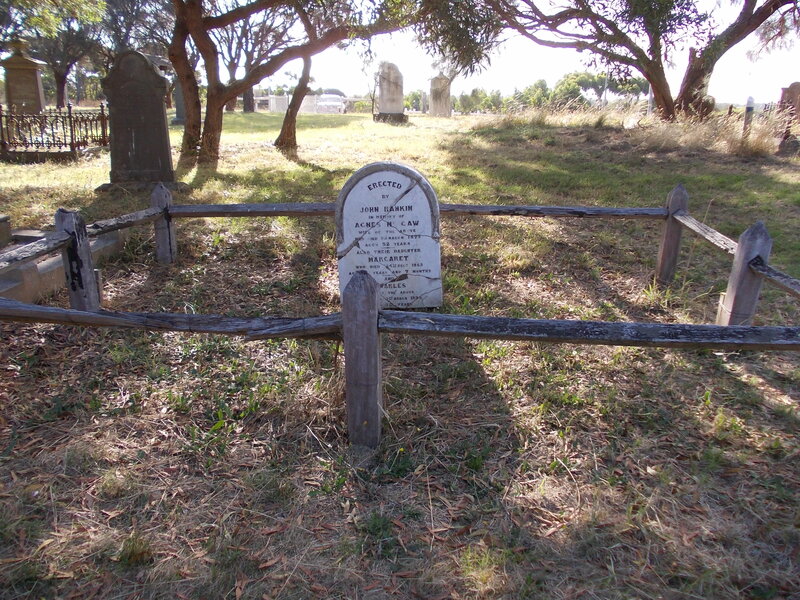 Her mother Harriet was also buried in the plot in 1854. 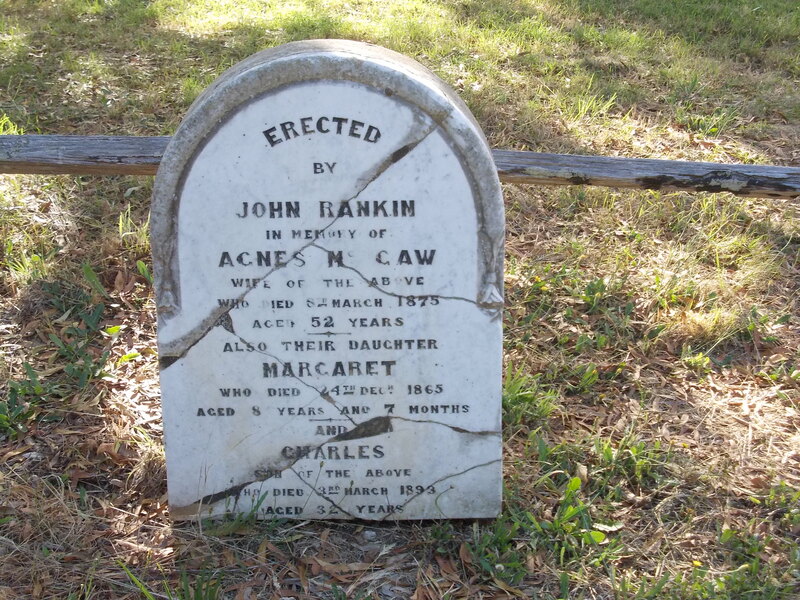 This entry was posted in Cemeteries, Western District History and tagged Earls, Haggestton, Portland, Rankin, Robb. Bookmark the permalink. Thanks for sharing the photos Merron. I don’t really know the area so it’s interesting to see such an historic site. Thanks for your comment Pauline. The cemetery is fascinating. The town of Portland itself is full of history and I will post photos of some of the older buildings sometime soon. 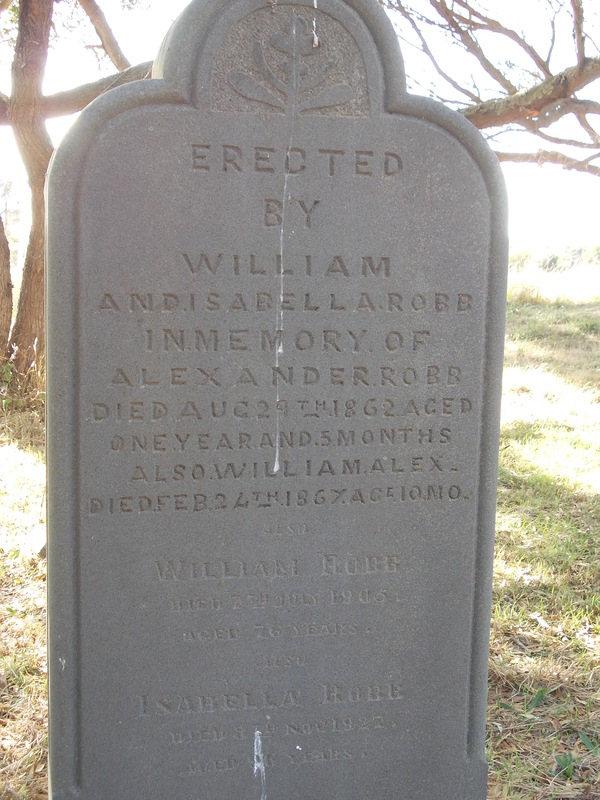 Thank you for sharing my great great grandfather’s stonemasonry – William Robb… so very much appreciated! Thank you for your comment and maybe I will dig up something else on the Robbs in the future. Yes – thank you I did. Great stuff! 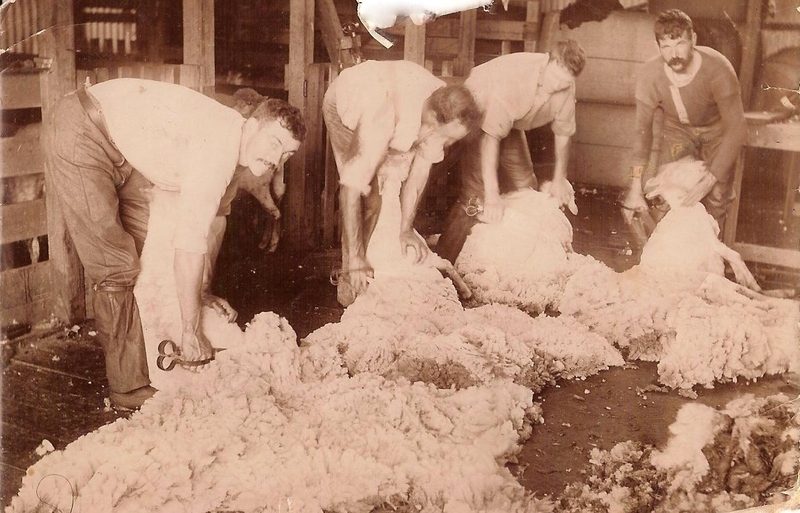 I will have to get there next time I am in Victoria – I would love to explore the township and see what Robb Stonemasonry is still left standing. any chance you still have the copy of the guide and can put a copy up here ?? here is a copy of the guide if you are still interested!